A 2005 court decision may have scuttled plans to teach intelligent design in the classrooms of one small Pennsylvania town, but Pulitzer Prize-winning journalist Edward Humes predicts that the battle is far from over. Reporting from the front lines of America's culture wars, a bitter arena of mutual misconception and mistrust, Humes takes us behind the scenes of Kitzmiller et al. 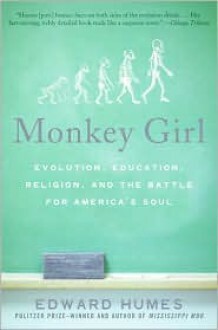 v. Dover Area School District, showing how this high-profile lawsuit thrust the evolution debate raging in local schools, courts, churches, and town halls into the national spotlight. Written with unparalleled clarity, fairness, and compassion, this spellbinding account examines what happens when religion and science collide. Nonfiction narrative at its stellar best!